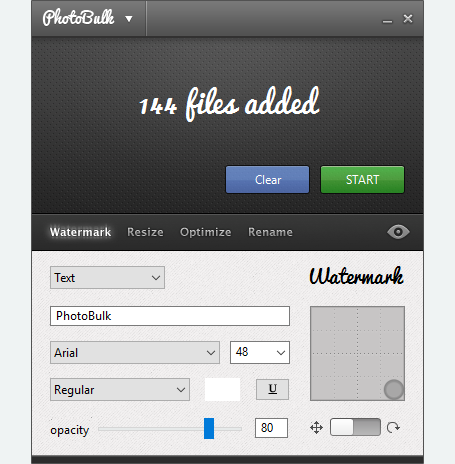 With this app, you can place watermarks in your photos, resize them, rename them, and even convert to different formats, all quickly and easily. 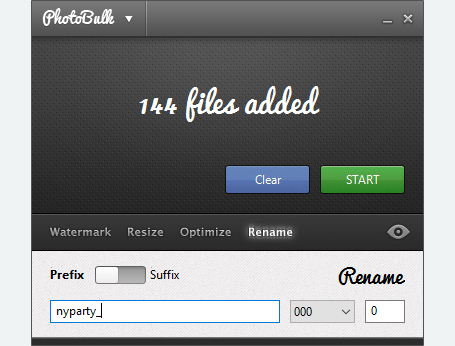 With just a click, you are able to rename and use photo converter the images to various file formats. It’s as easy as it gets. 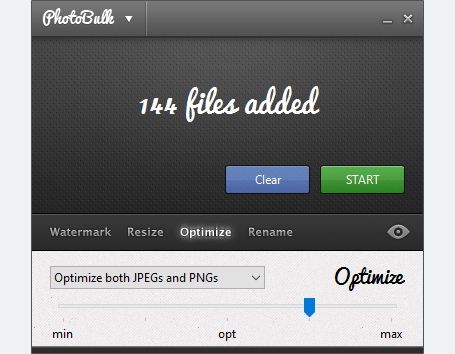 A nice feature of PhotoBulk is that you can optimize the size of your JPEG or PNG images, without compromising on their resolution, quality or format. 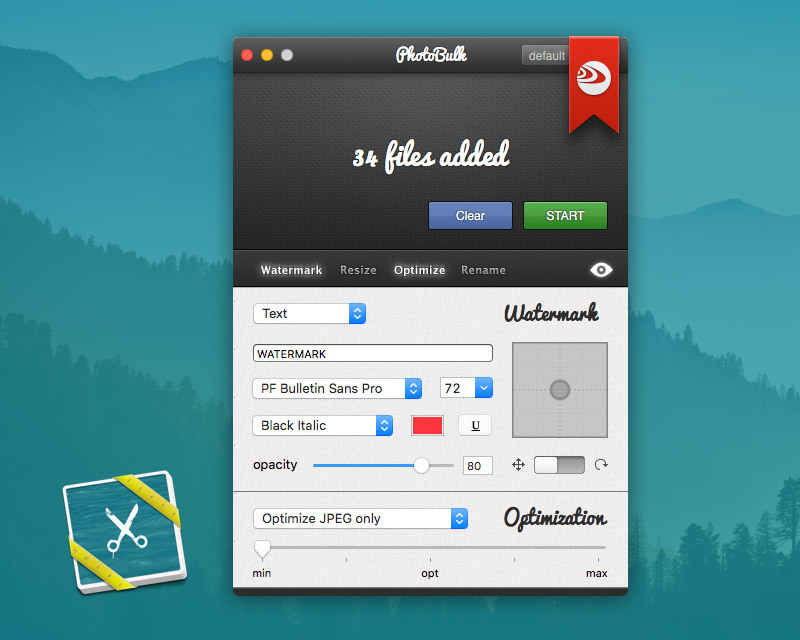 PhotoBulk supports all major image formats like JPEG, GIF, PNG, TIFF, and BMP, and can cross-convert to these formats as well.